You might lose your iTunes Library due to computer crash. iMusic can help you rebuild your iTunes library by transferring music from iPod, iPhone, iPad, Android phones, even external hard drives. 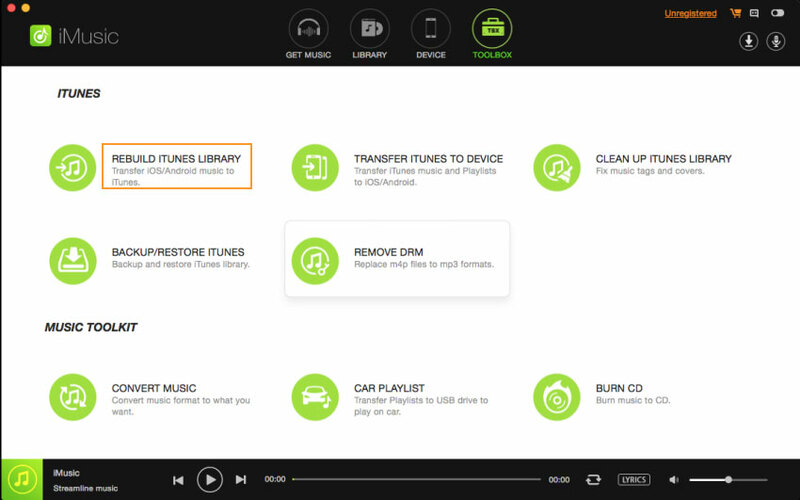 Below is an example for how to rebuild iTunes Library with iMusic taking example of an iPod. Download, install and run iMusic. 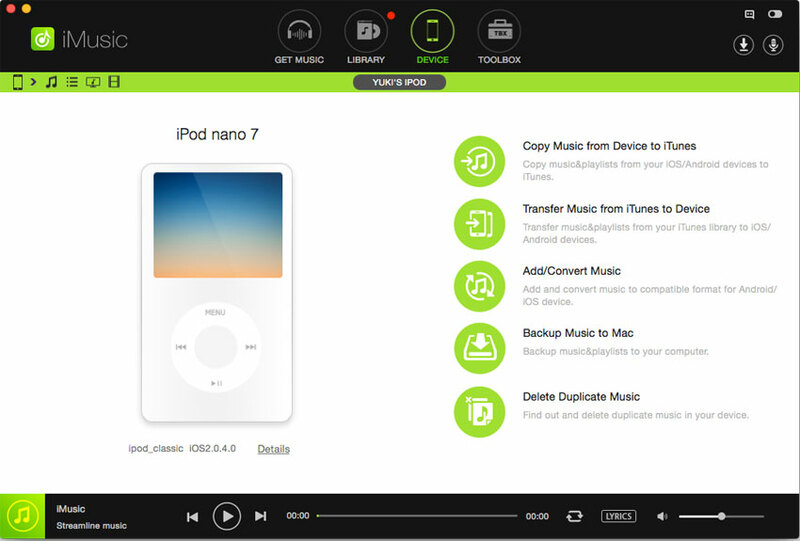 Connect the iPod with the computer on which you have installed iMusic via its USB cable. If connected successfully, you can see the iPod appears under “DEVICE” menu. Click “TOOLBOX” menu on the top of the software. From there, you can see the option “REBUILD ITUNES LIBRARY”. 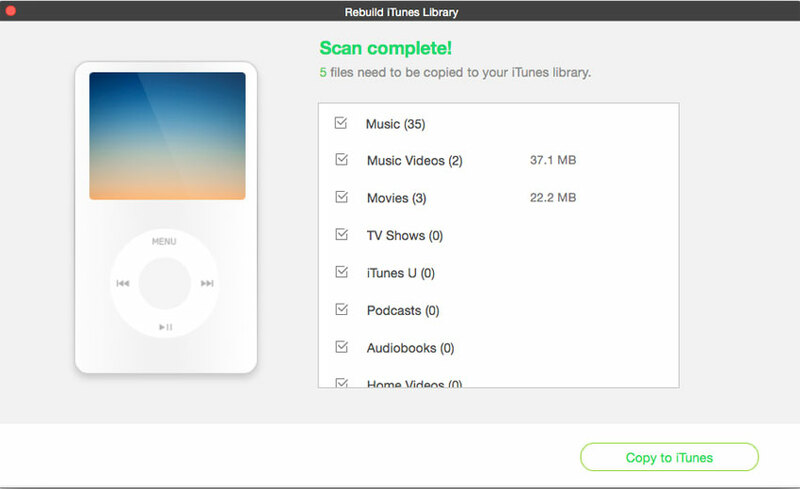 A new window will pops up, telling you it will copy all files, including songs, videos, podcasts, TV shows, playlists, and more from the iPod to your iTunes Library. Click “Start” to begin the process. Step 4. In the following window, check the file types the software has found on the iPod and click “Copy to iTunes”. When it finishes rebuilding iTunes Library by transferring files from your iPod, a message will tell you the process is completed.